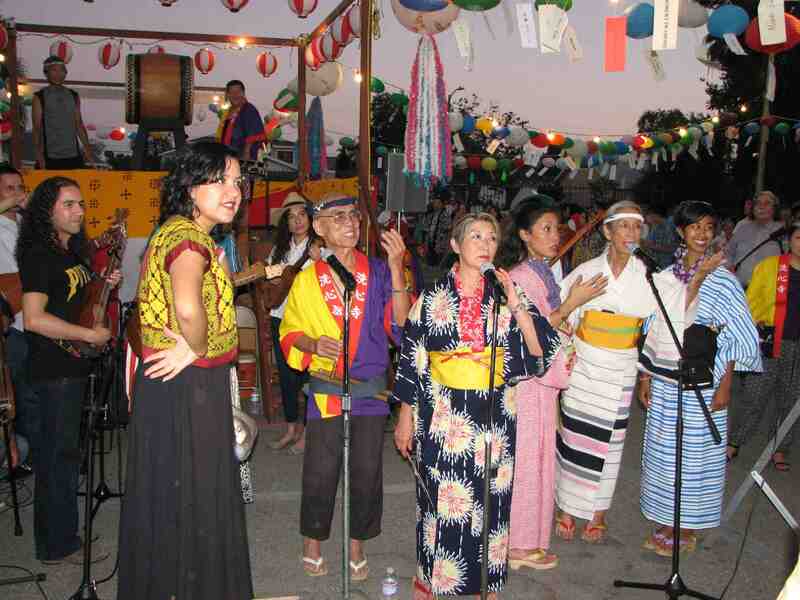 Senshin Buddhist Temple, 1311 W. 37th St. in Los Angeles, will hold its annual Obon observance on Saturday, June 27. Hatsubon service for loved ones who have passed away since the last Obon will start at 5:30 p.m.
Everyone is invited to take part in the Bon Odori at 7 p.m. A raffle drawing will be held during intermission. The last dance practice will be held on Thursday, June 25, at 7:30 p.m. The dancing will be followed at 9 p.m. by omairi in the Hondo, sento shogon (lighting of 1,000 oil lamps) outside and otoki in the temple hall, then horaku with Kinnara Taiko at 10 p.m. There will be no service on Sunday, June 28. For more information, call (323) 731-4617 or visit http://senshintemple.org.